Almost 900 of the largest fundraising charities received more than 42,000 complaints about their fundraising activities last year, figures from the Fundraising Regulator show. The regulator has today published a report on the number of complaints received in 2016 by 893 charities that spend more than £100,000 a year on fundraising. The report says it is not possible to make direct comparisons with previous complaints data published by the Fundraising Standards Board, which put out its final annual complaints report last year, because the charities involved are not necessarily the same. Last year’s FRSB report said complaints about fundraising had risen by 28 per cent in 2015 on the year before, despite a 33 per cent fall in fundraising activity by charities. 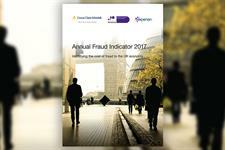 The FRSB’s report said 66,814 complaints were reported by 1,504 member organisations, which works out as 44.4 per member. Today’s data from the Fundraising Regulator is equivalent to 47.9 complaints per member. Direct mail accounted for the highest proportion of the complaints reported by charities in 2016, with 16,131 in a year when more than 300 million items of direct mail were sent, the report says. Door-to-door fundraising was in second place on 6,921 complaints, with email fundraising third and clothing collections fourth, according to the report. Figures published by the regulator show that 83 per cent of the complaints about addressed direct mail were related to accompanying enclosures sent by charities. The regulator says it wants to better understand why this was so. The report says more than 4,000 complaints in 2016 were reported by four charities, which it does not name. The regulator says it will follow up with those organisations to understand the nature and context of those complaints. The report says the regulator is also on track to receive more complaints itself this year than the FRSB did each year, with about 1,000 expected to be received in 2017/18, compared with 868 reported by the FRSB in 2015. The report says the regulator received a “large number” of complaints that were outside its remit, which it referred to the relevant organisation where possible. When put in the context of the volume of activity in each fundraising method, volunteer fundraising came out as the most complained-about method, followed by face-to-face fundraising on private sites. The Fundraising Regulator said its report represented a new approach to how complaints data can be used and it would be putting forward proposals on what it might do differently in future years. The regulator said it had noted a “clear willingness and commitment from organisations to work with us to continue to improve fundraising practices and ensure the best experience possible for donors”. Stephen Dunmore, chief executive of the Fundraising Regulator, said the report demonstrated the nature of complaints made by the public about fundraising practices and the positive progress made by the sector in addressing those concerns. “We are delighted to have received nearly 900 responses, demonstrating the collaborative nature of the sector as we work together to learn from complaints in order to improve public confidence in fundraising practices,” he said. Peter Lewis, chief executive of the Institute of Fundraising, said: “As the Fundraising Regulator points out, there is a low proportion of complaints compared with contact with the public, which highlights that the vast majority of fundraising is carried out to a high standard. The amount of money held in banks by the UK’s largest charities has increased by £300m over the past year to a total £16.2bn, according to a new report on charities and the banking sector. The latest Charity Banking Spotlight, which is produced by the charity data website Charity Financials and based on the top 5,000 charities in terms of income, expenditure or net assets, says the most recent figure is still below the peak of £16.8bn in 2012, but almost £600m more than in 2014. The report identifies the Charities Aid Foundation as having the most cash in hand or at the bank, with the charity having £768.8m. CAF, which runs its own bank, had the most borrowing with £1bn – about £700m more than the charity in second place, Aston Student Villages. The Church Commissioners of England had the greatest change in cash levels over the past year, with a £49.1m increase to a total of £440.7m, the report says. More than half of the charities surveyed have been with their bank for more than a decade, the report says, and HSBC saw the biggest fall in cash levels, with a drop of £287m. Barclays, which also sponsored the report, was the most popular bank among the top 5,000 charities, and also is the bank of choice for a third of the top 100 charities in terms of income, the report says. But NatWest holds the most cash on behalf of charities, with £3.2bn compared with Barclays’ £3.1bn, the report says. A record £61.5m was raised for charity at this year’s London Marathon, it has been announced. Organisers said the new high, which was £2.1m higher than the total raised in 2016, meant the event had broken the world record for the most money raised by an annual single-day fundraising event for the eleventh successive year. The total raised through the race is calculated by taking figures from charities that have places at the event, fundraising platforms and information from the runners themselves in a bid to reach a comprehensive figure. A record high of 39,487 people finished this year’s race, which took place on 23 April. Virgin Money Giving said after the race that it would add 10 per cent to all donations made on its website on 23 and 24 April after people experienced problems with its website during the event. The Teenage Cancer Trust was named in April as the charity partner for next year’s London Marathon, with a fundraising target of £1.5m. The mental health initiative Heads Together, which is backed by charities including Mind, YoungMinds and Calm – The Campaign Against Living Miserably, was the official partner of this year’s race. Next year’s marathon will take place on 22 April. A record high of 386,050 people applied for a place through the public ballot. Charities in north-west England contribute £2.5bn a year to the region’s economy, a new study has found. Third Sector Trends in the North West 2016, which was published last week, says voluntary sector organisations in the region have an estimated 110,000 full-time equivalent employees spread across more than 10,000 organisations. But although the report says that most organisations are in good financial health, it adds that those in the poorest areas are twice as likely to be in financially vulnerable positions than those in the more affluent areas. The report, which was written by Professor Tony Chapman of St Chad’s College, Durham University, is part of a three-year programme of work led by the think tank IPPR North on the state of civil society and the voluntary sector in the north of England. Chapman’s report is based on an online survey completed last year by more than 1,400 third-sector organisations in north-west England. Researchers found that 30 per cent of charities in the poorest areas believed they were financially vulnerable, compared with 14 per cent in the richest areas. Organisations working with people from minority ethnic groups were the most likely to feel they were in weak financial positions, the report says, followed by those tackling concerns about gender and sexuality. The report says the voluntary sector in the region “is very much a local sector”, with 30 per cent of organisations working solely at neighbourhood or village level and 62 per cent within the boundaries of one local authority. Only 9 per cent operate at a national or international level, it says. It says the voluntary sector in the region is dominated by small and medium-sized third-sector organisations, representing 6,306 and 4,425 charities respectively. There are only about 835 charities with annual incomes of more than £500,000, says the report. Using data from across the north of England generally, the report says the figures indicates that the proportion of part-time staff in the sector has risen from 35 per cent to 45 per cent over the past eight years. Charities in the north west of England draw upon an estimated 440,400 volunteers who contribute more than 31.7 million hours of work a year, worth at least £228m, the report says. Jack Hunter, research fellow at IPPR North, said the data showed charities in the region were “an economic powerhouse in their own right”. But he said the link between deprivation and a charity’s overall financial health was worrying. “Those that are arguably doing some of the most important work with the most excluded north-west communities appear to be suffering the most as a result of the government’s austerity policies,” he said. Charitable donations by text message fell by £7m last year, figures from the industry regulator show. The annual report of the Phone-paid Services Authority, which regulates goods and services charged to phone bills, such as TV voting lines, shows that charity text giving was worth £115m in the year to the end of March, compared with £122m in the previous year. The decline comes despite the regulator, which was previously called PhonePay Plus, predicting last year that charitable text donations would grow in 2016/17 to £129m. The 2015/16 figures were a 28 per cent increase on those for 2014/15, due in part to viral campaigns including the Ice Bucket Challenge and No-Make-up Selfie. No explanation is offered by the PSA in the latest report for the fall. The area remained the largest individual sector regulated by the PSA, ahead of online competitions or quizzes on £70m, games on social networks on £66m and directory enquiries on £65m. The number of charities subject to new Charity Commission inquiries more than tripled in the year to 31 March 2017 compared with the previous 12 months, the regulator’s annual report shows. The report, published today, shows that the number of charities subject to new inquiries rose from 52 in the 2015/16 financial year to 187 in 2016/17, although this figure includes two class inquiries: one into charities that failed to file accounts for two years running and one into charities providing services on Royal Air Force bases. The two class inquiries each comprised 74 charities. Excluding the long-running “double-defaulter” inquiry and counting the RAF investigation as a single inquiry, the total number of new inquiries opened this year was 40, which was still an 80 per cent increase on the 22 opened the year before, also excluding double defaulters. The report says there was an increase in the number of “charities being referred for inquiry in order to deal with serious regulatory concerns”. The report also reveals that the commission used the powers it gained under the Charities (Protection and Social Investment) Act 2016 a total of 26 times, including 18 times in April and May this year. It says the regulator used its powers eight times in the financial year ending 31 March 2017 and a total of 26 times by 31 May 2017. The act, which came into force in March 2016, gave the commission new powers to issue warnings to charities and to disqualify people from serving as trustees. The commission’s annual report says the actions the commission took under the act in the 2016/17 financial year included “directing actions not to be taken and issuing the first notice of our intention to issue an official warning”. A commission spokeswoman said the sharp increase in the use of the new powers in April and May had occurred partly because more of the powers became available at that time and partly because of cases such as that of the Anatolian People’s Cultural Centre, where five trustees were disqualified, which would count as five separate uses of the power. In 2016/17, the commission opened 503 monitoring cases, up from 462 the previous year, and concluded 586, up from 426. The number of applications to register a charity rose from 8,198 to 8,368, and 6,045 were successful, an increase from 5,169. Of these, 131 applications were formally rejected by the commission, an increase of 90 on the previous year.